Move in ready mobile home that has been lovingly maintained and upgraded by it's third owners. New Owners put in a new furnace, New fuel tank, and a New back deck. Home includes all appliances with a brand new stainless steel fridge. New carpeting was put in several rooms. Has an awesome Chef's kitchen and walk in pantry, lots of cupboards, and a large master bedroom with a double door master bath. This home has lots of storage as well as two Little Andre storage sheds in the yard. You will love having Central Air during the summertime and that new furnace in the winter. High ceilings in several rooms make this home seem huge. Lovely home in Burlington's Old North End. Comfortable and charming with an eat in kitchen, large living room, natural woodwork, slate roof and a dry unfinished basement. Enjoy the enclosed front porch and huge 2 car garage. New furnace in 2010 and six new windows in 2014. 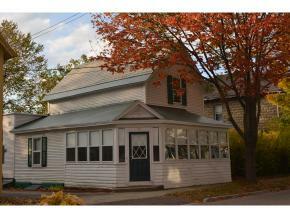 This is a wonderful home in a location convenient to UVM, the Medical Center and downtown. I would like to introduce myself! I am Sam with Samantha Etesse Interiors as well as a Realtor working on Century 21 Jack Associate's team here in Vermont. With 15 years in Color Consulting, Staging Homes for the Market and Detailed Painting, interiors are very much close to my heart. Twice a month I thought I would share some tips of the trade for Homeowners and fellow Realtors, cost efficient DIY projects and tid bits for preparing homes for the market to sell. Helping Turn Dreams into a Reality can be Simple, Cost efficient and Fun! If you would like you can check out www.etesseinteriors.com to find a bit more information on SEI.